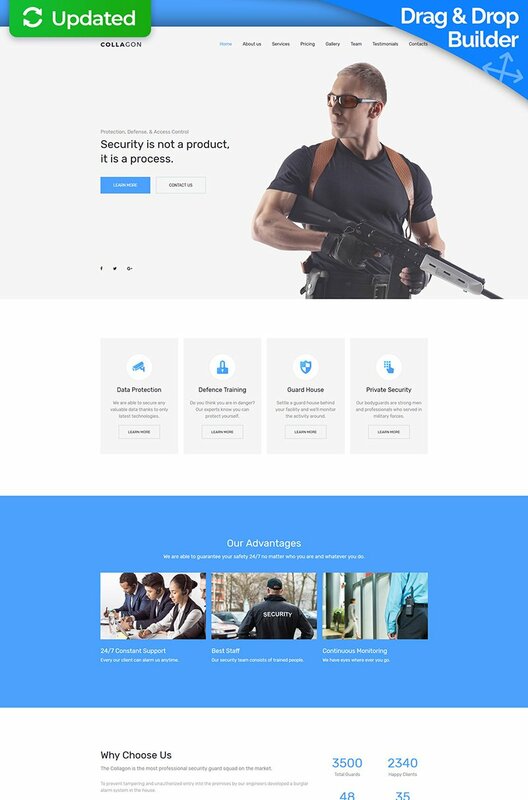 Collagon Security Service Moto CMS 3 Template is designed and developed to bring a reliable and trustworthy presentation to security services organizations. The layout is clean and concise. The pages feature a clean and spacious structure. All elements shared on the site will adapt to all screen sizes automatically. The theme is also SEO-friendly and cross-browser compatible. In addition to the remarkable presentation of different pieces of data on the pages of the site, the theme is also loaded with several working forms, letting the web users get in touch with you quickly. The theme is integrated with White label plugin, which will be especially appreciated by web developers.